Home/Blog/ Video, Video Production/5 of the Best Whiteboard Drawing Videos! 5 of the Best Whiteboard Drawing Videos! When it comes to explainer video styles, there are a lot of types to choose from. Motion graphic videos, cartoon videos… they all work well for different marketing goals. But when you need a video style with a high synthesis power and a highly engaging nature, then whiteboard drawing videos are the best option! These kinds of videos are famous for turning any kind of complex message into a simple and entertaining one. Why? Because they’ve got an aesthetic style that puts people in an ‘educational mood’ – what could be more educational than scribbling over a whiteboard with a marker? They’ve got the power to make any topic really interesting. And that’s why we love them so much! This style is one of our favorite ones to make, because they’re fun and look great – but also because they’re very effective for educational purposes. 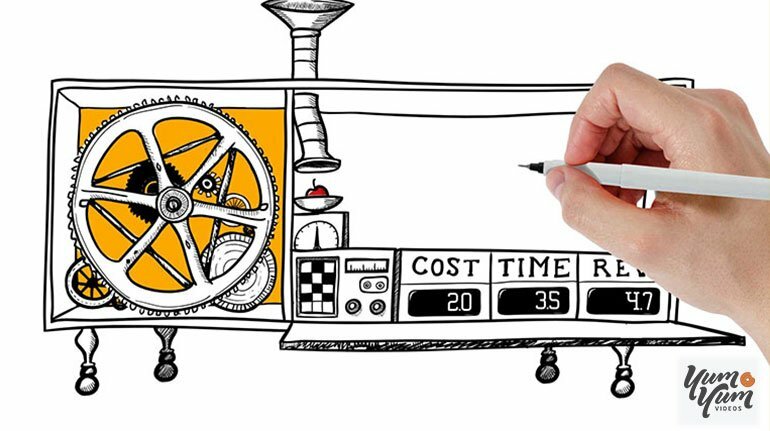 Today, we want to share with you this treasure: five of the best whiteboard animated videos, so you can get inspired to make your own! Let’s get to it! Yes, it’s a little bit narcissistic to start with one of our own videos, right? 😉 But don’t worry, to be fair, we truly believe that this is one of the best whiteboard drawing videos out there. 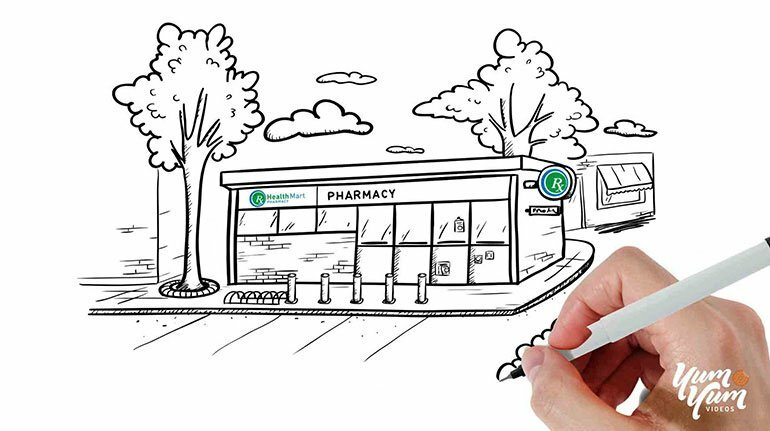 We created this video for McKesson, which is one of the most important companies in the world – it ranks #5 in the Fortune 500 rank. It’s a digital whiteboard video, which is a growing trend: not only because it looks nicer and of higher-quality, but also because it’s very difficult and expensive to create a traditional whiteboard video (and it’s also very hard to correct any mistakes on it after it’s recorded!). Just like the first one, this is a digitally-animated whiteboard drawing video. RSA (Royal Society of Arts) is a charity committed to solving social challenges, and they created this video to speak about the reform of education. It’s a very complex topic, and it’s very probable that not all viewers are familiar with it! So they chose to use this video style because it’s the one that’s best suited for educational purposes. A little bit of context for this video: around the time YouTube started, in early 2005, whiteboard videos started to be ‘a thing’. RSA was one of the first big organizations to get on board with it, and they began to convert selected lectures into animations made with a whiteboard style. Another complex topic made simple with the power of whiteboard animation! The Story of Stuff was one of the first videos with this style to get viralized, and right now it has more than 5 million views on YouTube alone. It’s a little bit long, but that’s fine for some kinds of videos, like purely informational ones ( if you’re making a video that’s a bit more commercial, then you should stick to 3-4 minutes). This video tells the story of production and consumption, and its connections to environmental issues. It’s truly fascinating! 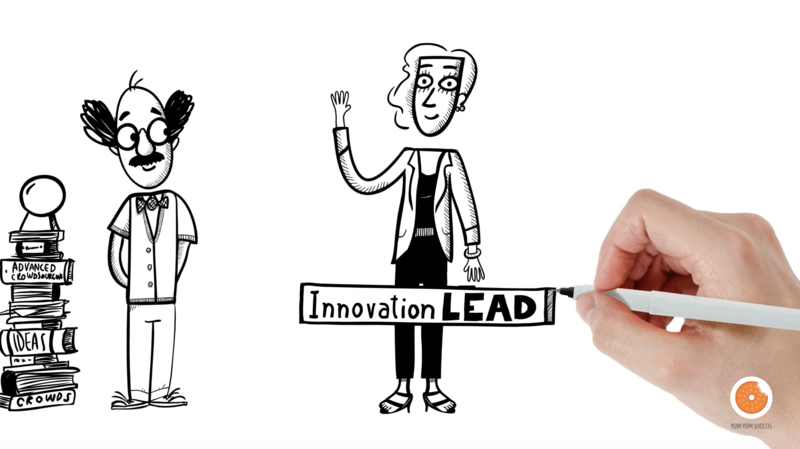 This one is a strictly informational whiteboard animation video that helps us understand where good ideas come from. One of the things that makes it really interesting (for us, video makers) is that it looks like a traditional whiteboard video (even though it’s probably edited on video software afterwards). It’s a video that’s only four minutes long – which makes it perfect in order to hold audience’s attention – and it’s interesting enough to keep you hooked. Again, we come back to the complicated topics made simple: rising energy costs! This is a fun video that’s very well aimed to a target audience: homeowners everywhere can relate to this message. It also tells a lot of information in a short period of time, so that makes it great for commercial purposes! What do you need to create your own video? There are a couple of elements that are essential in order to create a whiteboard video that works correctly. So, if you want to create one of these videos to include in your marketing strategy, let’s take a quick look at their basic elements! The Whiteboard Triad: White background, a continuous black drawing and a drawing hand! As you’ve seen in all of these videos, there are three things that are essential in whiteboard animation: a white background (posing for the whiteboard itself), a black continuous line and a drawing hand. Those are the basic characteristics of this kind of video: it’s what gives it a recognizable style, and even though you’re allowed to add some personal details (we’ll talk about that in a minute), you should really try to keep things traditional. So don’t forget any of them! And please, don’t forget the drawing hand: it’s what’s ties it all together – the point of a whiteboard video is that there is an ‘artist’ drawing the story as it unfolds. If you have no hand, you’ve got no video. A high-quality video made with this style will keep your audience wondering what comes next, at every moment. Why? Because they’re watching how the story is being drawn (in ‘real time’, or at least, synchronized with the narration), so there’s a spark of interest in your viewers that will only create excitement and anticipation for what comes next. So, for this particular style of video, the best thing to do is to use interconnected drawings instead of individual ones! One of the great things about whiteboard drawing videos, is that they’ve got the possibility to deliver a complex message in a simple way. Of course, you already know that! But the greatest part of it, is that because of its simplicity, you can also add emotional cues without overwhelming your audience! So, you could make a video that’s informative, but also happy, light, funny; or nostalgic, empathetic or emotional. If your video is simple to understand, it can be whatever you want it to be! Storytelling is powerful, so take advantage of this tool to use your audience’s emotion in your favor. This could be done, for example, by adding elements to your story that connects your audience to things of their past (references to classic movies, or music, or whatever your target audience is interested in!). It will make your video much more memorable! Appeal to your audience’s emotion to generate identification. Even though it’s important to keep the whiteboard triad (white background, black interconnected drawings and the drawing hand), you can always customize your video’s colors and style, so it fits more with your brand. Think about including characters that look and behave like your target audience (which can be done by modeling them after your buyer personas). This will make your audience feel identified with your message! You can also include some color in your drawings – you get extra points if you use your brand colors, of course! Don’t get crazy, though. It’s not about making a full-color video, it’s more about accentuating key parts of your message with the use of color. (If you’re looking for a full-color video, maaaaybe you should try cartoon animation, instead!). Whiteboard animated videos turn messages that could be very boring or complex, into fun and simple ones. That’s their magic! If you’re interested in creating one for your brand, remember that it should always have the highest quality possible. Even though, sometimes, homemade whiteboard videos could look quirky and kind of cute, it’s not really high-quality content – and a poorly made video will only make your company seem unreliable. High-quality content sparks trust in your audience. It means that your brand is a reliable one, and this is why they will trust your message. And the best way to create high-quality content is to have a great team of professionals working on it (whether it’s in-house, if you’ve got a design team in your company; or by hiring a professional video production company). If you decide to hire a video production company, make sure that they can meet your needs correctly! Take a look at their portfolio, testimonials and reviews. Now, you know everything there is to know about whiteboard drawing videos. Are you ready to make your own? If you need any help, you can always write to us – we’ll be happy to help you!